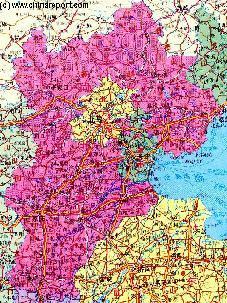 This full detail schematic Map gives a clear overview of Hebei Province and immediate surroundings. including neighboring area's of adjacent provinces of Shanxi Province, Inner Mongolia Autonomous Region, Liaoning Province, Shandong Province and Henan Province. Provincial borders are delineated by various colors. 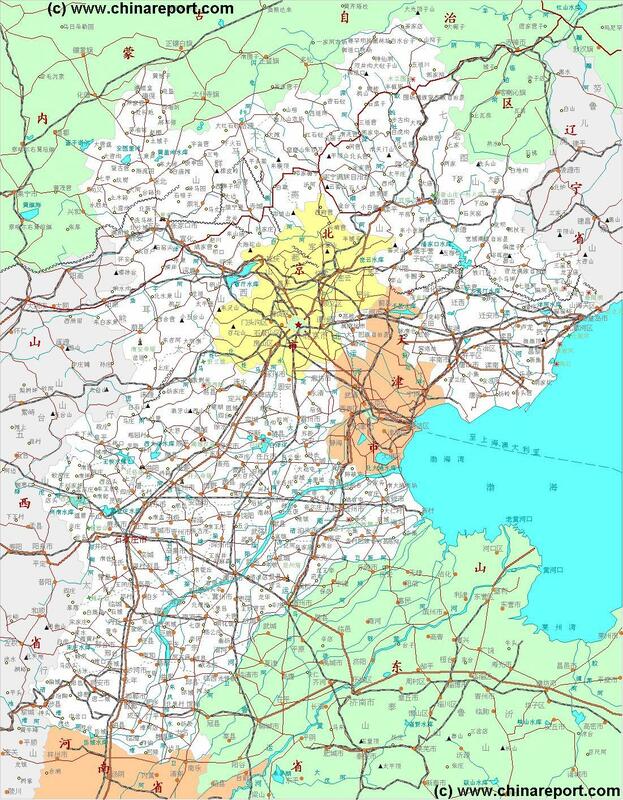 Focussing on Beijing Municipality and Tianjin Municipality (City Province), the Map further provides locations of villages along main roads and railway lines, locations of Monumental and Cultural Historic Sites in the area. Special attention is payed to small towns along the pathway of the Great Wall with known visitable Great Wall of China locations). Sites marked with a Yellow Square represent the locations of Scenic or Holy mountains in the region with heights in Meters where available.